Shari Steinbach who is a nutritionist had been with a midwest grocery chain for more than twenty years and was more than ready to go out on her own. Shari came as a referral from Chef Steven Petusevsky. She needed a logo, business card design and website. 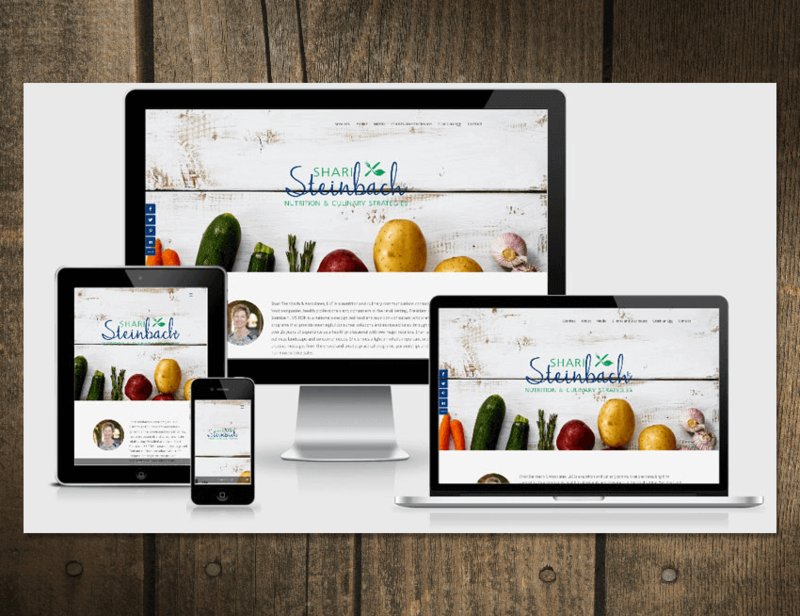 Designing Shari’s website did not have any extra needs or solutions. For form submissions, Caldera Forms was used. I am an awarding winning logo and website designer who when not designing logos and websites, likes to write about how the industry has changed and what it looks to become in the future. I started designing websites around 1995. For the past 8 years, all sites have been developed in WordPress. Originally, I would develop the site in HTML and then convert those files to WordPress. Today all child themes are built on the framework of Divi. Guest blogger at 3lovablelabs, Tropic Moon Media, and Patti & Hank.